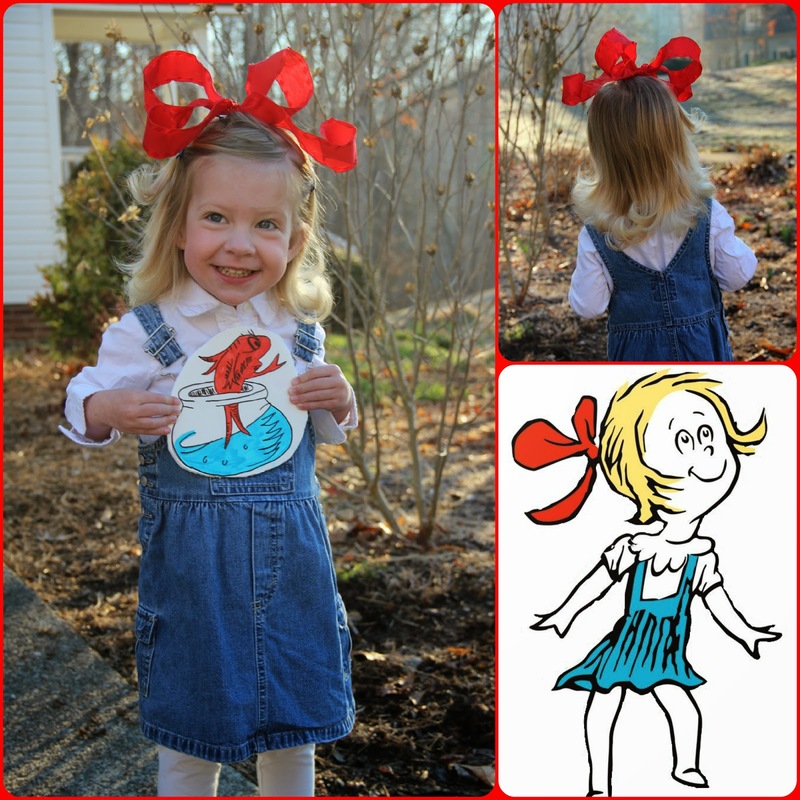 March kicked off with Dr. Seuss Day at Clara's preschool. When I asked her who she wanted to be, she answered, "Sally from Cat in the Hat." When I went to get the book I realized that she had picked a perfect match! We had lots of fun dressing her up as Sally and she loved celebrating the fun day at school. In case you missed it on Facebook, here she is. I think we nailed it. Absolutely Delightful! Clara is such a beautiful girl. Enjoy following your life's journey. Oh how I miss those days .... do take such delight in them! Lucky Clara to have such a caring mom. Lucky mom to have such a darling daughter!